Tall wall / floor / leaner mirror with brushed gold metal frame. 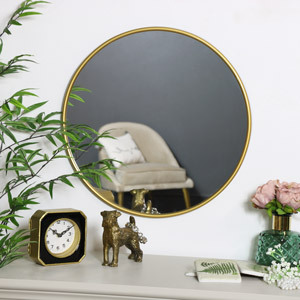 Stylish & vintage mirror for a luxe look home decor. Ideal for a glam & chic interior. The metal frame gives a minimalist feel and adds some vintage chic with the brushed gold colouring. This will look fabulous in the living room, hallway or bedroom. 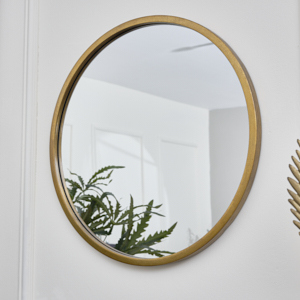 Make your home exquisite with this beautiful wall mirror. Chic and fabulous style that will make the perfect statement in any interior. Tall wall / floor / leaner mirror with brushed gold metal frame. 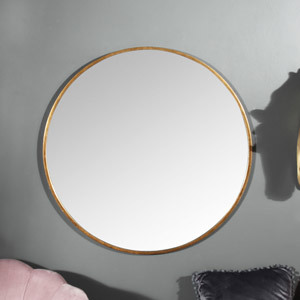 Stylish & vintage mirror for a luxe look home decor. Ideal for a glam & chic interior. The metal frame gives a minimalist feel and adds some vintage chic with the brushed gold colouring. This will look fabulous in the living room, hallway or bedroom. 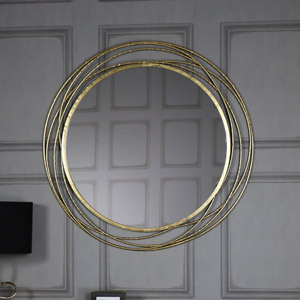 Make your home exquisite with this beautiful wall mirror. Chic and fabulous style that will make the perfect statement in any interior.